Happy? Not happy? We tell you why. Sixty-five to 79 is the happiest age group for adults, according to the British Office for National Statistics research. Meanwhile, those aged 45 to 59 reported the lowest levels of life satisfaction, with men on average less satisfied than women. That age group also reported the highest levels of anxiety. Researchers said one possible reason for the lower happiness and well-being scores among this age group might be the burden of having to care for children and elderly parents at the same time, the financial pressures that places on a family, and emotional and social pressure. The struggle to balance work and family commitments might also be a factor, they said. Meanwhile, those who were younger or retired had more free time to spend on activities which promoted their well-being, the researchers suggested. 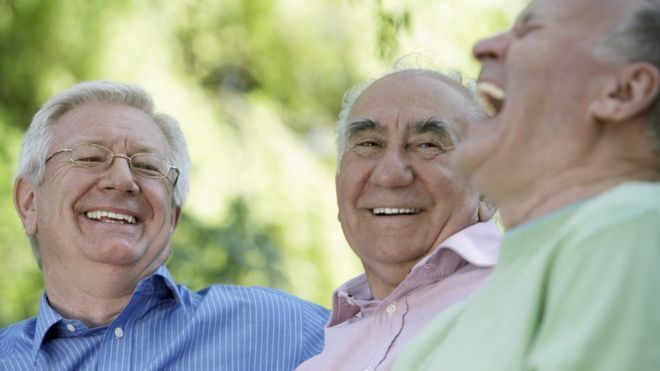 Happiness and well-being dropped off again in those over 80, however, with researchers suggesting this could be down to personal circumstances such as poor health, living alone, poverty and feelings of loneliness. Hardly surprisingly, people with jobs were happier than unemployed people, with part-time workers the happiest. Of those who were not working, retirees had the highest levels of happiness, followed by students. Of those who followed a religion, Hindus were marginally the happiest on average, followed by Christians and Sikhs, while those who followed no religion reported being the least happy. Women on average reported higher levels of anxiety than men, but were more likely report better well being and feel their life was worthwhile. People of Arab ethnicity were found to be the most anxious ethnic group, with people of Chinese ethnicity the least anxious. Reflecting the age-old adage “at least you’ve got your health”, researchers found a strong link between health and well-being. UK life satisfaction map. The darker the green, the happier people are. “We know that the UK population is ageing. There were more than half a million people aged 90 and over living in the UK in 2014 – almost triple the number 30 years ago,” it said. “This shift towards an older population will impact on important policies and services including the labour market, pension provision, and health and social care demand. The “U-shaped” pattern of happiness, which sees people’s happiness dip in middle age, has been observed globally. 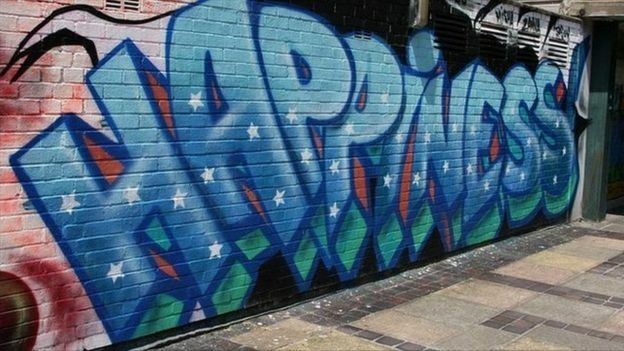 Previous studies found happiness hits rock bottom at 35.8 years in UK; the low point in the US comes a decade later; in Italy, happiness is lowest at 64.2 years. In good news, Dear Reader, in just a year we can start feeling happy again.